This is a book about someone I worked with 60 years ago. I had little idea then of her daring activities during World War I. She is Angy Hore-Ruthven, formerly Manners, wife of Col Malise Hore-Ruthven and mother of Nancy, Sally and James. This 25-year-old society lady raised a 'hospital' - matron, surgeon and nurses and equipment - and took it to Belgium. With the focus on World War I, I offered to help Sally get her mother’s story reported. We soon realized that it couldn’t be easily captured in a magazine or newspaper article. Discovering that Amazon’s Create Space published short books, I decided to write one. The 'Manners Hospital', as it was called, was joined by Winston Churchill’s sister-in-law, Nellie Hozier, who was Angy’s best friend. 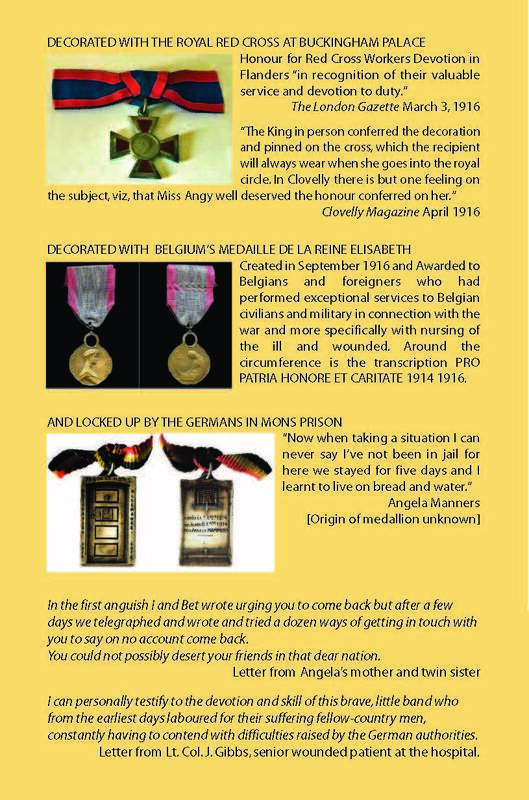 The book includes photographs of Angie and Nellie and their team in Mons provided by the Mons Memorial Museum. For her work Angy was awarded the rare Royal Red Cross by King George V and Belgium’s Queen Elisabeth medal as well as being entitled to wear the Mons Star. She was also thrown in prison by the Germans. 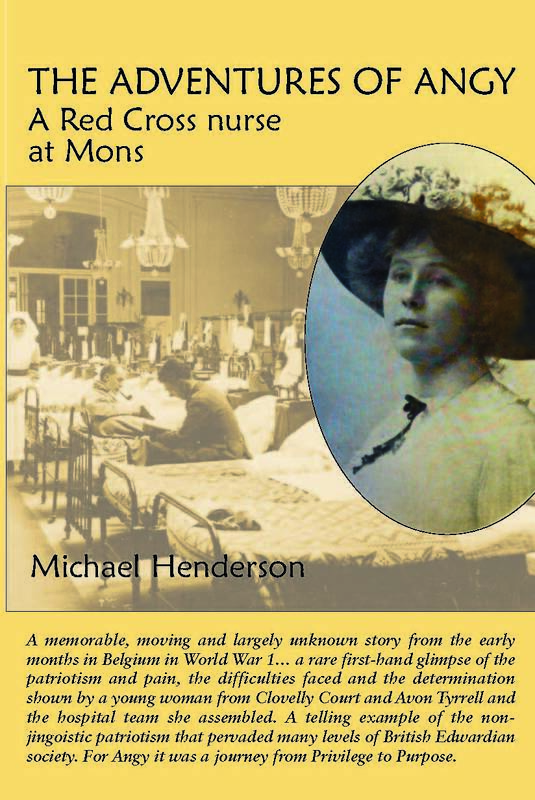 'The Adventures of Angy: A Red Cross nurse at Mons' is now on sale on Amazon and on Kindle.